​The partner of a former Royal Marine Commando killed fighting the Islamic State (IS, formerly ISIS) claims she has suffered online abuse after speaking publicly about him. Jemma Weston, 23, says she was the victim of taunts and insults after speaking out about her relationship with Konstandinos Scurfield, who was reported killed on Wednesday. 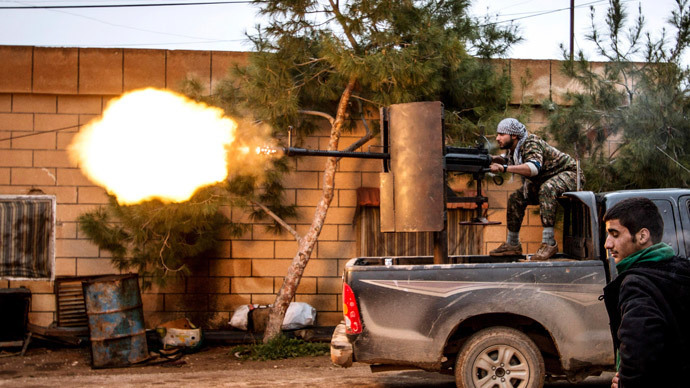 He had been fighting in an irregular force composed of other Westerners operating in support of the Kurdish militias battling Islamic State jihadists in Syria and Iraq. Speaking to the Daily Telegraph, Weston said she had feared being violently attacked over her connection with Scurfield, 25, due to his involvement in the conflict. “Someone on the street told me I was ‘sick’ for speaking about Kosta,” she said. “People who were our mutual friends have accused me of tarnishing his memory – but I don’t understand why. Ex-US soldier Jordan Matson, 28, who joined the Kurdish People's Protection Units last September, eulogized Scurfield on Facebook. “We were together from his first day here and you couldn't ask for a more disciplined warrior,” Matson wrote. A hundred foreign fighters are estimated to be serving with the Kurdish militias. The first to die was Australian Ashley Johnston, 28, who was killed last week. While there has been an increased effort to clamp down on UK nationals traveling to join the IS, Westerners engaged in the fight against them are approached differently. Prime Minister David Cameron, whose government has been working to extend anti-terror legislation in recent months, has said there is a “fundamental difference” between the two kinds of combatants.